Apologies for bringing up Churchill Square when the traumatic Christmas shop is still so fresh in the mind. But, having recently visited Sir Winston’s old flat by Victoria Station, it seems only right that I look into whether or not Churchill Square is deserved of that great name. Ideas were first mooted in 1935 for a new shopping and entertainment complex in the town centre. Clearance work commenced but the war hampered further progress. The decision to develop a massive sixteen acre site stretching from Western Road to the seafront was taken in 1959. The plans required the demolition of many fine streets, many of which were in poor condition, and, amazingly, the Grand Hotel. The Grand did survive, of course, but not without a fight. Much of the rest of the site was then compulsorily purchased by Brighton Council. The Top Rank Centre was completed in 1964 which is today the Kingswest building, housing the Odeon cinema and the Event II nightclub. The first phase of the £9million Churchill Square opened in 1968 and the rest, including Chartwell Court, a residential tower, a few years later. Chartwell Manor was Sir Winston’s beloved Kent residence where he famously dug lakes and laid bricks. If the great man could see the monstrous Chartwell Court, a squadron of Lancaster Bombers would be sure to appear within minutes. 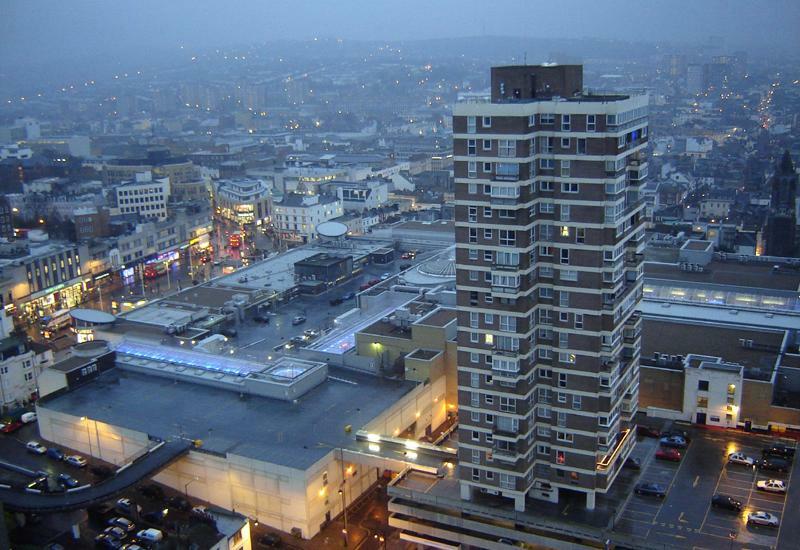 The Brighton Centre opened in 1977 but by 1980 the original Churchill Square was considered outdated. 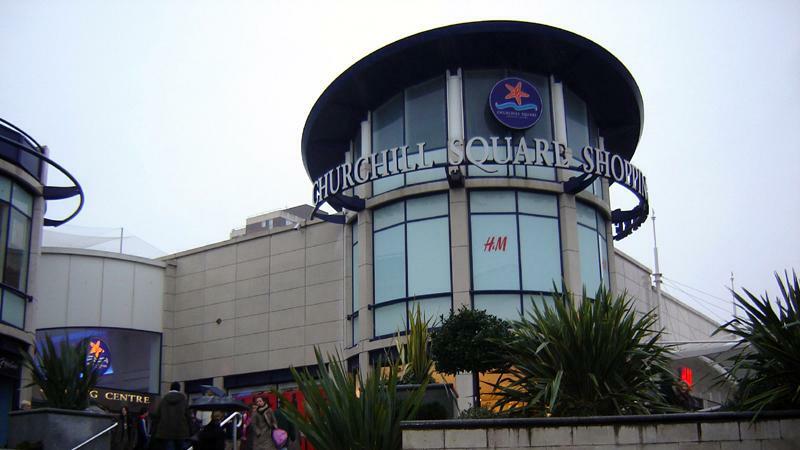 After long negotiations, it was massively modified at a cost of £90million to open in 1998 as the Churchill Square of today. The old Churchill Square comes fifth on Dr Anthony Seldon’s list of the city’s worst architectural moments in his book, Brave New City, and is described as ‘hauntingly ugly’. Brighton Centre/Kingswest makes first. The whole awful development should simply be flattened. A massive modern conference venue should replace the Brighton Centre and Kingswest. The current West Street car park entrance road would be pedestrianised as access to the cinemas and nightclubs in my new, Trocodero-style, scheme. Parking would be deep below the whole new footprint, freeing valuable space that is currently wasted on multi-storey car parks for more shops. The whole development would then be topped with apartments and a massive roof garden. It would be a fair bit taller than the current Churchill Square but without the awful Chartwell Court tower. Frank Gehry – listen and learn!